Is Keysight Technologies Inc (KEYS) Going to Burn These Hedge Funds? Is Keysight Technologies Inc (NYSE:KEYS) a good bet right now? We like to analyze hedge fund sentiment before doing days of in-depth research. We do so because hedge funds and other successful investors have numerous Ivy league graduates, expert network advisers, and supply chain tipsters working or consulting for them. There is not a shortage of news stories covering failed hedge fund investments (for some reason media paid a ton of attention to Ackman’s gigantic JC Penney and Valeant failures) and it is a fact that hedge funds’ picks don’t beat the market 100% of the time, but their consensus picks have historically done very well and have outperformed the market after adjusting for risk. Is Keysight Technologies Inc (NYSE:KEYS) an excellent stock to buy now? Money managers are actually taking a pessimistic view. The number of long hedge fund bets that are revealed through the 13F filings experienced a decline of 1 recently. KEYS was in 14 hedge funds’ portfolios at the end of September. 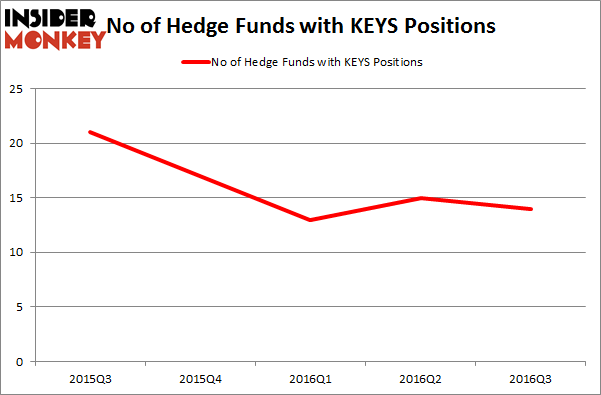 There were 15 hedge funds in our database with KEYS holdings at the end of the previous quarter. The level and the change in hedge fund popularity aren’t the only variables you need to analyze to decipher hedge funds’ perspectives. A stock may witness a boost in popularity but it may still be less popular than similarly priced stocks. That’s why at the end of this article we will examine companies such as Sun Communities Inc (NYSE:SUI), Senior Housing Properties Trust (NYSE:SNH), and United Microelectronics Corp (ADR) (NYSE:UMC) to gather more data points. 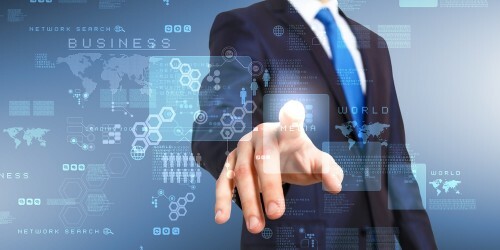 Follow Keysight Technologies Inc.Follow Keysight Technologies Inc. Heading into the fourth quarter of 2016, a total of 14 of the hedge funds tracked by Insider Monkey held long positions in this stock, a 7% dip from the second quarter of 2016. Below, you can check out the change in hedge fund sentiment towards KEYS over the last 5 quarters, which shows a clear downtrend in bullish hedge fund positions. With hedge funds’ positions undergoing their usual ebb and flow, there exists a select group of noteworthy hedge fund managers who were increasing their stakes substantially (or already accumulated large positions). According to publicly available hedge fund and institutional investor holdings data compiled by Insider Monkey, D E Shaw, founded by David E. Shaw, holds the most valuable position in Keysight Technologies Inc (NYSE:KEYS). D E Shaw has a $66.1 million position in the stock. The second largest stake is held by Diamond Hill Capital, led by Ric Dillon, which holds a $24.1 million position. Other peers that hold long positions comprise Peter Rathjens, Bruce Clarke and John Campbell’s Arrowstreet Capital, Jim Simons’ Renaissance Technologies, and Paul Marshall and Ian Wace’s Marshall Wace LLP. We should note that none of these hedge funds are among our list of the 100 best performing hedge funds which is based on the performance of their 13F long positions in non-microcap stocks. Hedge Funds Are Selling Concordia International Corp (CXRX) Is 2U Inc (TWOU) A Good Stock To Buy? Is Cryolife Inc (CRY) A Good Stock To Buy? Is Cohu, Inc. (COHU) A Good Stock To Buy Right Now? Is Bottomline Technologies (EPAY) A Good Stock To Buy? Is Tobira Therapeutics Inc (TBRA) A Good Stock To Buy?